Opt for lordosis, kyphosis, and Scoliosis Treatment from Malaysia Top Scoliosis Treatment Center. Contact us now for an appointment! Lordosis, kyphosis, and scoliosis are spine curves that can cause pain or discomfort. Lordosis is a natural curve in the neck or lower back. Kyphosis is the natural curve of the upper and mid back regions. When you look at the spine laterally, from the side, you will see several curves (Figure 1). At this angle (side view), your spine will almost look like a soft ‘S’ shape. When you look at the spine from the posterior (rear), as in Figure 2, the spine will appear to be straight vertically from your neck to the tailbone. The terms for these normal curves are kyphosis (kyphotic curve) and lordosis (lordotic curve). However, such natural kyphotic or lordotic curves should never be confused with scoliosis. Lordosis, kyphosis, and scoliosis are spine curve. As mentioned kyphosis and lordosis are natural, but not scoliosis. Scoliosis is an abnormal curve as seen from the front or back of the spine as depicted in Figure 3. It may be difficult to see, and we hope that we did not confuse you with our “soft S-Shape” curve terminology earlier. The confusing part for some may be that a spine with scoliosis also resembles an “S” shape! But, keep in mind that the S-shaped curve in scoliosis (better known as “double scoliosis”) is an abnormal curve visualized from the anterior (front) or back (posterior) aspects of a patient’s spine. The normal curves (lordosis or lordotic curves and kyphotic or kyphotic curves) are those in the sagittal plane, while the abnormal curves (scoliosis) is a reference to curves in the coronal plane. In the human spine, there are two lordotic curves (lordosis): one in the neck (cervical) and the other in the lower back (lumbar). 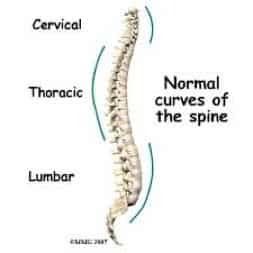 But there is only one kyphotic curve, located in the upper and mid back (thoracic spine). However, some even consider the curve of the buttocks as one of the spinal curves, as formed by the sacrum and the coccyx (the tailbone). Therefore, to keep matters simple, we will proceed with the notion of two normal kyphotic (backward) curves: one in the thoracic spine (upper and mid back) and the other in the sacral spine (buttocks region). Each of these healthy and naturally occurring soft curves serves to distribute any mechanical stress incurred while the body is erect, moving or at rest. Scoliosis is an abnormality that can diminish or exacerbate the natural kyphotic and lordotic cures beyond their normal limits. Complicated scoliotic curvatures will present increased or decreased natural curves (lordosis and kyphosis curves). Rotatory scoliotic spine presenting with lordosis, kyphosis, and scoliosis requires expert attention. If you have been diagnosed with lordosis, kyphosis, and scoliosis, visit the best physiotherapy and chiropractic Center in Kuala Lumpur for accurate assessment and treatment. 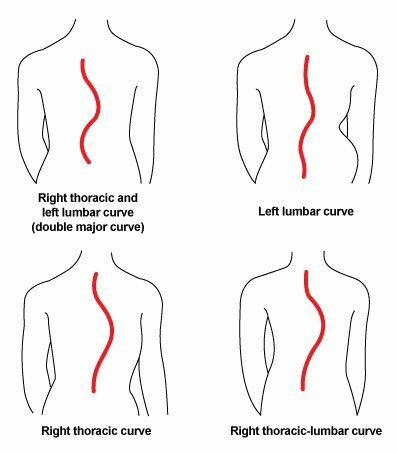 Both lordosis and kyphosis are normal to a certain extent, but there are conditions and situations where a kyphotic curve may be present in the neck or the lower back, while lordotic curves are in thoracic (upper and mid back) portions of the spine. In other words, a kyphotic curve is typical for the upper back or mid back, but an abnormal finding when present in the neck or lower back. Similarly, lordotic curves should never be seen in the thoracic region of the spine. Additionally, the lordotic or kyphotic of the spine are considered normal when they present within acceptable limits. As mentioned earlier, lordosis and kyphosis are references to spinal curves. Typical lordotic curves of the cervix measure 20-40 degrees while the average normal lordotic curve measurement for the lumbar is between 20-35 degrees. A measurement of fewer than 20 degrees in the neck is considered hypo-lordotic while curves larger than 40 degrees are considered hyper-lordotic. Lumbar curves under 20 degrees are considered hypo-lordotic, and those over 35 degrees are referred to as hyper-lordotic. Both, hypo-lordotic and hyper-lordotic curves are abnormal findings, as they place excessive stress on joints, muscles, ligaments, and spinal discs. The reasonable limits for a kyphotic thoracic curve are those measuring about 20-40 degrees. Similarly, curves that are less than 20 degrees or greater than 40 degrees are considered abnormal. Why are these curves important for those diagnosed with scoliosis? For the spine to function properly, it requires precise angulation or curves within acceptable ranges. Too much of a curve or not enough curve leads to issues that complicate scoliosis recovery. The unique point is that scoliotic patients often present with a hyperlordotic lumbar curve and a kyphotic cervical curve. Furthermore, the vast majority of scoliotic patients either have a flattening or a significant reduction in their thoracic curve (kyphotic curve). Proper alignment of spinal bones is not possible unless the spinal curves are within acceptable, normal limits. In our center, we pay close attention to the spinal curves of scoliotic patients. We have noted significant clinical successes when spinal curve issues are addressed. In other words, the comprehensive care you get from us is further enhanced with our assessments of your spinal curves. Therefore, the care you get in one of our centers will include therapeutic procedures and home care instructions targeting excesses or insufficiencies in the normal contours of your spine. Ours is a holistic method of scoliosis treatment that combines multiple principles and methodologies for better results as it considers all your spinal curves. Contact us now for the best-targeted treatment of Lordosis, Kyphosis, and Scoliosis in Malaysia.